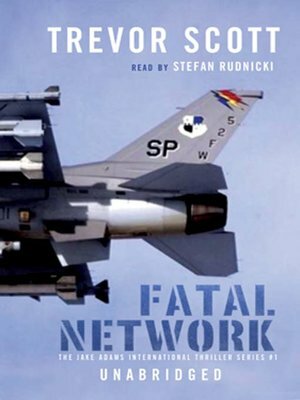 When a tech rep in charge of an avionics retrofit at a US air base in Germany comes up missing, Jake Adams, a former Air Force intelligence and CIA officer, is hired to find him. Was the man selling vital technology for the new Joint Strike Fighter? Back in a changed Europe, Adams struggles to survive in a world where profits are more important than past ideologies. Conspiracy, murder, espionage, and mystery lead Jake Adams from an aircraft carrier off the coast of Italy to the chilly banks of the Rhine. Can Adams keep the technology away from ruthless German and Hungarian agents? First he must save the woman he loves and then stop the fatal network.